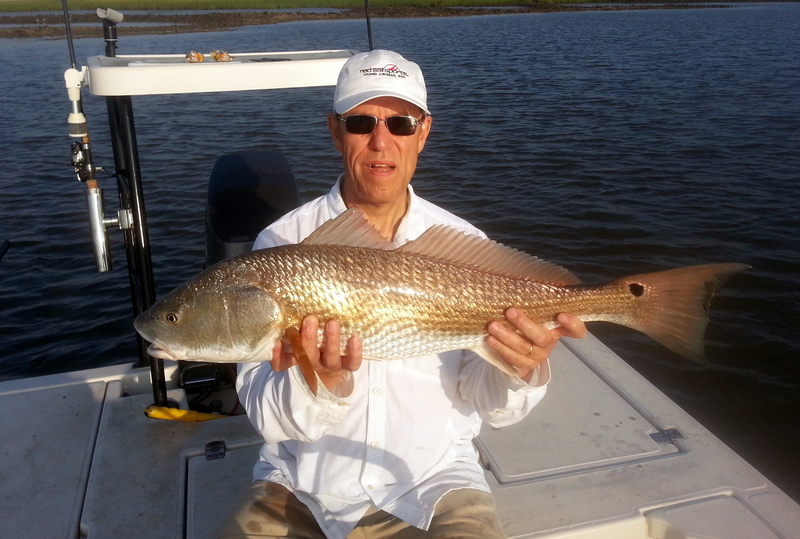 The charter was built for sight fishing with a mid morning low tide combined with light winds. Upon reaching the flat, the backs and tails of redfish were easily visible as they busted shrimp and birds dove upon the melee. For an hour, the redfish, far too occupied with the feeding frenzy, refused our artificials. We switched over to chunks of blue crab and it wasn’t long before the rods were whipping over. Lots of action for the duration of the charter with a sweet 12lb. redfish as the biggest of the day.